France international Benjamin Pavard has spoken about the possibility of playing alongside Lucas Hernandez at Bayern Munich next term. The right-sided defender is scheduled to join the Bavarian giants from Stuttgart when the current campaign comes to a close but he is looking forward to reuniting with compatriot Hernandez, who has been strongly linked with the German champions. 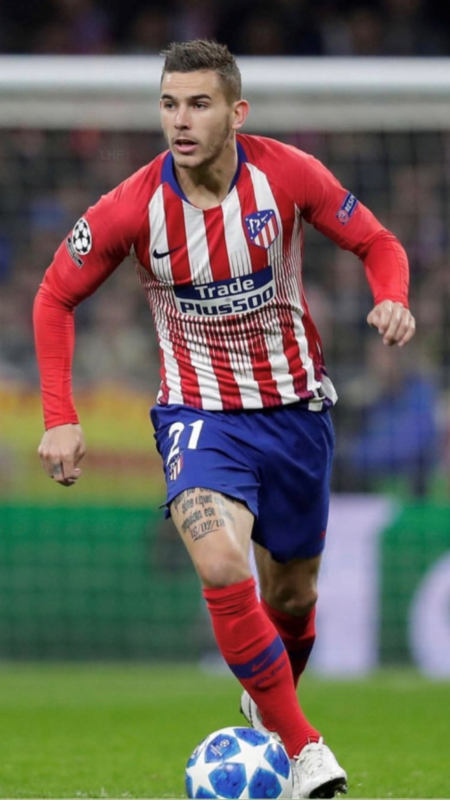 In December, Bayern were deemed to have reached a pre-contract agreement to sign Hernandez at the end of the season but that was categorically denied by Atletico. The Capital outfit have since suggested that the defender wants to remain with the club although that could change, should Atletico go trophyless for yet another campaign. “Meanwhile, Bayern have experienced one of their toughest league seasons of late and they are currently trailing Borussia“ Dortmund by three points heading into the final 11 games of the campaign. Nonetheless, they have given themselves a good chance of retaining their crown and the pressure is surely on Dortmund to maintain the charge for the “rest of the season“. Elsewhere, Bayern are already through to the quarter-final of the German Cup and they have the opportunity to do the same in the Champions League, should they overcome Liverpool during the return leg of the round of 16. The German champions settled for a 0-0 scoreline against Jurgen Klopp’s side at Anfield last month.